The Sikh community in Dubai hailed the visit of Shaikh Nahyan Bin Mubarak Al Nahyan, Minister of Culture, Youth abnd Community Development, to Guru Nanak Darbar at Jebel Ali. The first such visit by a Shaikh to the temple, which opened in January 2012, was hailed by Sikhs in Dubai as a momentous occasion. 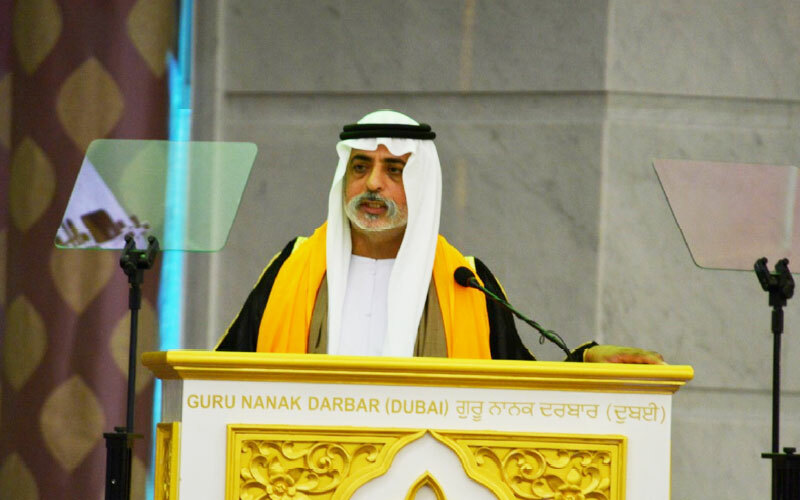 Shaikh Nahyan hailed the Guru Nanak Darbar as a symbol of the multiculturalism of the UAE. Likening the UAE leadership’s vision, which welcomes people of all faiths and ethnicities to that of Indian Emperor Akbar, Shaikh Nahyan called the UAE a cradle of all faiths.